After scouring the research on customer reviews, I found 26 tips that make them more effective. TripAdvisor — alone — has 385 million reviews (source). 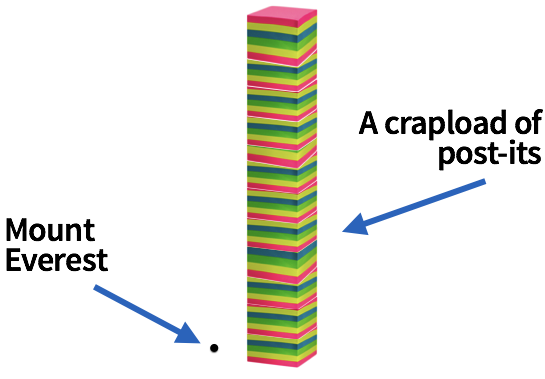 If you converted those reviews into post-it notes, the stack would be 38,500 meters. …that’s a lot of reviews, my friend. Which reviews are more persuasive? 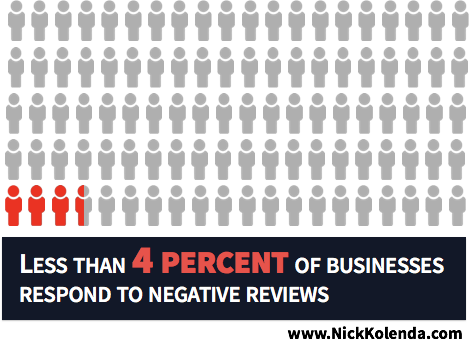 How can you overcome negative reviews? How can you get customers to write better reviews? There was a ton of info. But I compiled the unique (and actionable) findings into this article. 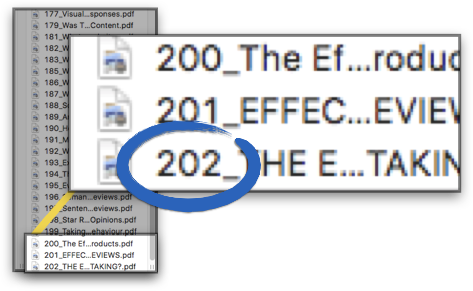 PDF Bonus: This article is 3,042 words. Click to download the full PDF so that you can reference it later. Salehan and Kim (2014) analyzed 35,000 reviews on Amazon. They found that shorter titles perform better. 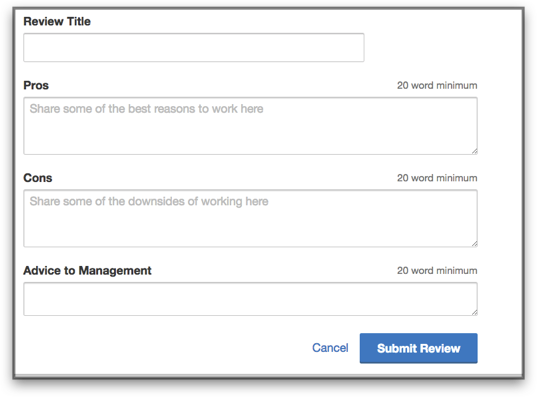 Consider enforcing a maximum word count (e.g., 10 words) to reduce the length of review titles. The opposite occurs for text within a review. Bjering, Havro, and Moen (2015) analyzed 1,489,194 Amazon reviews, and they found that longer reviews are more persuasive. If you want customers to write longer reviews, you could require a minimum length (e.g., 200 characters). Or you could use a “suggested” length. Not all reviews are equal. Specifically, reviews with spelling or grammar errors are less persuasive (Schindler & Bickart, 2012). So…fix that. In text fields, add functionality to detect errors. Help reviewers find (and fix) them before they publish reviews. Hmm, mention drawbacks? What next? Show my F rating from the Better Business Bureau? I know it sounds weird. Reviews are supposed to PROMOTE a product, right? So why badmouth it? In text fields, placeholders usually give instructions. That’s the norm…but it’s a missed opportunity. Ideally, you should write placeholders so that — in addition to instructing — you strategically elicit a persuasive response. Those placeholders will trigger an anchoring effect (Tversky & Kahneman, 1975). 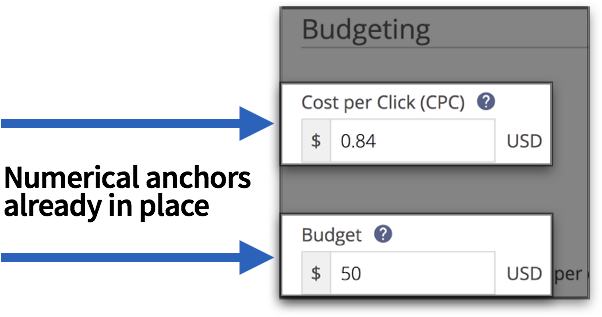 Advertisers will enter higher bids, generating more ad revenue. And you could follow a similar approach with review titles. Skip the explanatory, “Enter your review title here.” Ugh. Such a waste. That placeholder should elicit a similar response. You should also consider mentioning the strongest benefit. If a dissatisfied customer is writing a negative review, the text will be a subtle reminder of something positive. It could transform a harsh 1-star review into an average 3-star review. 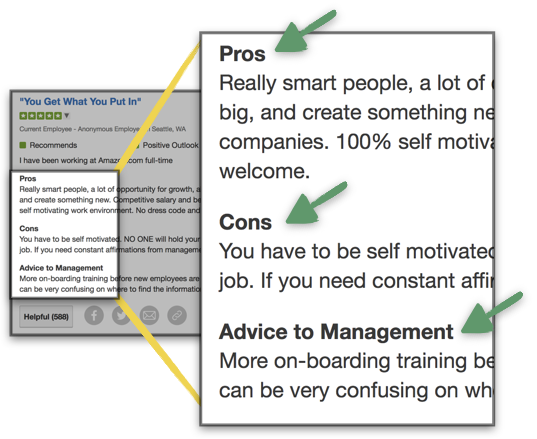 Glassdoor separates their reviews into components (e.g., pros, cons, etc.). Those subheadings increase the persuasiveness of a review (Mackiewicz & Yeats, 2014). Plus, they reduce paragraph density — which further increases persuasiveness (Kampouris, 2013). Don’t assume that happy customers will write good reviews. Happy customers can write crappy reviews. 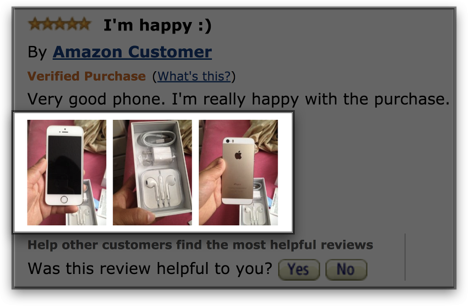 Luckily, Amazon collects data on “helpful” reviews. And multiple researchers have analyzed that data. 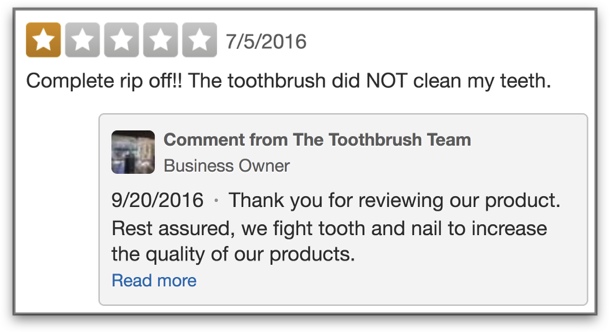 We know which reviews are helpful — and why. More importantly, you can give guidelines to extract that information. Similar to the subheadings in the previous tip, you can ask reviewers specific questions so that they write a helpful review. Reviews are more persuasive when they describe experiences with similar products (Mackiewicz & Yeats, 2014). Reviews are more persuasive when they offer concrete examples. Those statements increase the “diagnosticity” of the review (Li et al., 2011). Emotional language is more persuasive for hedonic products — even if the language is negative (Ren & Nickerson, 2014). Why? Because the emotional tone is congruent with the emotional nature of the purchase. And that congruency feels good. FIGURATIVE: You can find the entire ocean in the seafood department. LITERAL: The seafood department contains a very large variety. The figurative description — because of its emotional nature — makes hedonic consumption more salient. In turn, customers are drawn toward hedonic choices. Therefore, don’t ask customers why they purchased a hedonic product. Ask how they FELT about it. It’s a slight change in wording, but the response should be more persuasive (Moore, 2015). Reviews are more persuasive when they contain images (Cheng & Ho, 2015) or video (Xu & Chen, 2012). How can you acquire them? Well, you could mention that reviews with images or videos receive more helpful votes. That way, you entice reviewers through an intrinsic incentive. Or you could offer an extrinsic reward (e.g., discount) to customers who include images or video. Reviews are more persuasive when customers perceive the reviewer to be similar. 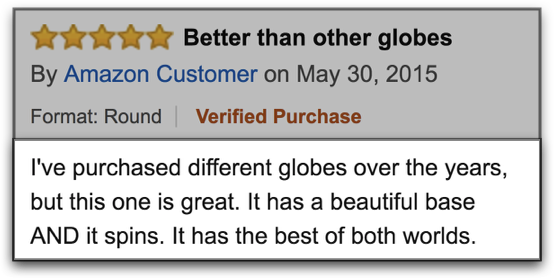 If the reviewer seems similar, then customers gain more confidence that the product will be a good fit. That’s why regular customers are more persuasive than experts (Li et al., 2011). New customers don’t identify with professionals. They identify with Joe Schmo. Unless the product is risky or unsafe — which would increase the need for an expert — show reviews from typical customers who represent your target market. We’re living in a world where you can buy fake reviews. Need proof? I created a fake company by reversing my last name. Here’s a quick video review for ADNELOK. In today’s world, you need proof — in some capacity — that a review is genuine. 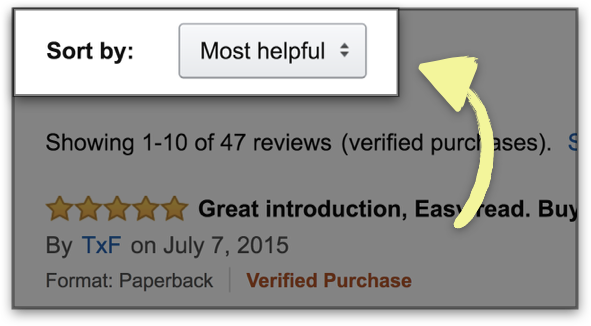 That’s why reviews are more persuasive when they come from “verified purchasers” (Bjering, Havro, & Moen, 2015). If you can’t show a status, then incentivize customers to upload selfies with the product (Yang, Chen, & Tan, 2014). Some usernames are less persuasive. Sure, MOST usernames will be normal (e.g., jschmo). But they’re still less persuasive than real human names (e.g., Joe S. or Sally P.). Liu and Park (2015) found direct evidence that real names are more persuasive in customer reviews. How many reviews have they written? How many “helpful” votes have they received? WIN #1: You’ll entice customers to write more reviews (in order to reach a higher rank). Plus, if you count “helpful” votes in the ranking, they’ll strive to write better reviews. WIN #2: New customers can evaluate review credibility more effectively. They can place more trust in reviewers with a high ranking. Similarly, you could let users follow reviewers. The social nature would spark more intrinsic motivation for reviewers. They’ll feel motivated to write better reviews in order to receive more followers. Cheng and Ho (2015) found empirical support for that strategy. Amazon currently highlights a positive AND negative review. 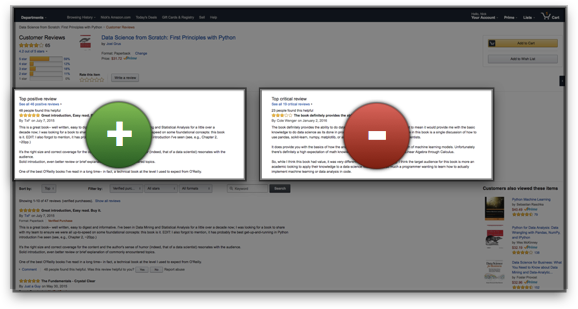 You can usually trust the behavior of a powerhouse like Amazon — who must be A/B testing the hell out of their site. High traffic websites have the data. They know what’s working. And what’s not. But why is it working? Well, I already explained the benefits of mentioning drawbacks (Doh & Hwang, 2009). The same effect applies here. So don’t hide your negative reviews. Show a positive review. Then show a negative one. This tip works especially well if you have MANY reviews. By narrowing their focus on two reviews, you’ll prevent information overload. 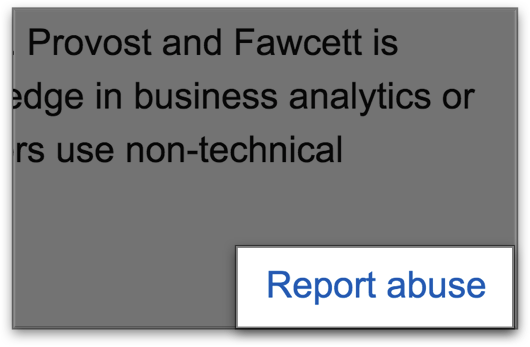 They won’t need to read ALL reviews — just those two (Forman, Ghose, & Wiesenfeld, 2008). We’re influenced by the order of information. When people encounter a sequence of information, the initial pieces create expectations for the remaining pieces. If initial information is positive, then people expect the remaining information to be positive. And those expectations influence their perception. They’ll interpret all subsequent information to be more positive, regardless of the true valence (Asch, 1946). The same effect applies to reviews. When customers arrive on your page, the initial reviews are most important. Those reviews will anchor a perception — positive or negative — and that perception will influence their evaluation of your product. You should place POSITIVE reviews at the top so that customers develop a favorable perception of your product. See Lianzhuang (2015) for direct evidence. Most users don’t use those sorting options. However, those options still enhance the credibility of reviews (Holleschovsky, 2015). Usually, volume is a good thing. The MORE reviews the BETTER. But that’s not true for luxury products (Blal & Sturman, 2014). People buy those products because of the uncommonness. Thus, more reviews can be harmful. If you’re selling a high-end product, don’t go overboard. Stick to a small handful of testimonials. Most businesses strive for a perfect rating. When we see anything less, we want to punch the reviewer in the face. Did they even use the f**king product?! Take a breath. I have good news…perfect ratings are overrated. Literally. Maslowska, Malthouse, and Bernritter (2016) analyzed eCommerce data. People were more likely to buy products with a moderately high rating (4 to 4.5 stars) than a very high rating (4.5 to 5 stars). Why? Because imperfect ratings seem authentic. When customers see a perfect rating, they become suspicious of fake reviews. So next time you see a moderate review, don’t be angry. Be thankful. Think of it like a “pass or fail” option in college. A “pass” will look better than a D+. But we’re already beyond the scope of the article. If you’re getting bad reviews because of a crappy product, then you have bigger problems. Most businesses display one overall rating. However, Hong, Chen, and Hitt (2012) suggest using a multi-dimensional rating. Multi-dimensional ratings are effective because customers can scan them. Those ratings give customers a quick glimpse into multiple features of your product. You could also give product-specific dimensions. If you’re selling laptops, for example, ask users to rate the speed, durability, aesthetics, battery life, or other important features. The list shouldn’t be excessive. It should just capture the primary selling points. Ask users to rate helpfulness. You can use that data in different ways. 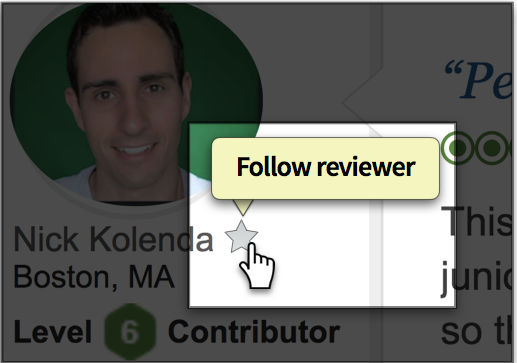 First, you’ll be able sort the reviews more effectively (Kampouris, 2013). If you know which reviews are most helpful, you can position those reviews on top. 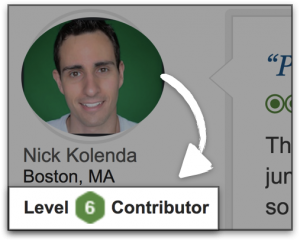 Second, you’ll be able to add that data into a reviewer’s profile. With a public display — and a goal to strive toward — you incentivize reviewers to write helpful reviews. If you mention those voting criteria, reviewers will try to reach high ratings on those dimensions. So they’ll write better reviews. Since research shows that persuasive reviews are humorous and easy-to-read (Schindler & Bickart, 2012), consider using those dimensions to evaluate reviews. If you show reviews on your website, don’t forget to add Schema Markup so that the information populates in search results. You’ll typically receive a higher click-through rate (which should help your page rank higher). You can refer to the markup properties for Reviews, Ratings, and AggregateRating. 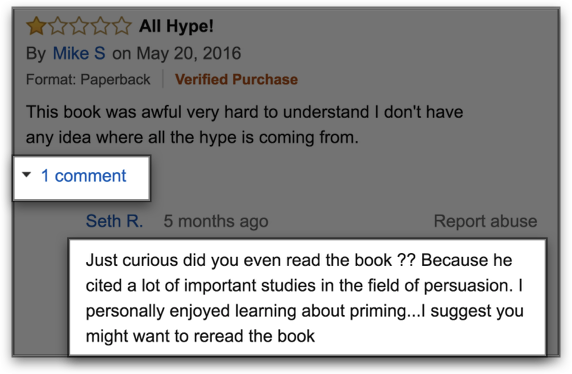 That review was from my book, Methods of Persuasion. If you have a great product, then customers will jump to your defense — if you let them. So provide a commenting feature. Based on reviews in TripAdvisor, less than 4 percent of businesses actually respond to negative reviews (Xie et al., 2016). That’s an opportunity to stand out. You need to censor your f**king reviews. C’mon now. You’ll look more professional. Plus, angry reviews are less helpful (Lee & Koo, 2012). So there’s no need for expletives. Add code to identify certain words and phrases. Then implement measures to either (a) prevent those reviews from being published in their current form, or (b) censor the specific word or phrase. Even if your code is top notch, it’ll never be perfect. Add extra measures by letting users flag or report reviews. In today’s world, 75% of people base their purchase decision on customer reviews (ChannelAdvisor, 2011). If you want to maximize your sales, then you can’t neglect your reviews. Feel free to download the PDF so that you can refer to this article moving forward.